Chris asked me to tell him more about the business I had started (it was Federated Media), and then right there, over the kitchen table, agreed to lead a financing, but with a twist: A small portion of the proceeds were distributed to me, the founder, in exchange for my personal shares of the company. Chris explained that this was called a secondary stock sale, but I didn’t care. For me, it was a lifeline, and a way to keep doing what I loved to do. I hadn’t thought much about that story for some years, but today Chris and his partners Mike Jung and Ken Loveless are announcing the birth of a new kind of venture firm, one that has at its heart the “kitchen table ethos” that defined Chris and my partnership nearly ten years ago. It’s called Founders Circle Capital, and you can read all about it here. FCC was born of the insight that companies are taking longer and longer to get to a traditional “exit” of an IPO or sale. For Federated, that process took nine years, and its spinoff, sovrn Holdings, is now entering its tenth year (it’s doing very well, I’m proud to say). When companies take that long to provide a return on the early invested capital or sweat equity, serious misalignments can develop between the original founding team and later investors and partners. It’s one of the great headaches of any CEO running a late stage startup – figuring out how to please all the different stakeholders who occupy an increasingly tangled cap table. FCC was created to help align founders, investors, the company’s board, and its management team. 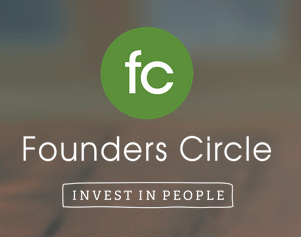 I’m proud to say that I will play a part in the new company’s story as Chairman of its “Founder’s Circle,” a group of extraordinary founders who are in one way or another connected to FCC’s mission and community. It’ll be a safe place for founders to talk about their personal and professional journey – a virtual kitchen table of sorts, welcoming and intimate. Companies with breakaway growth look awfully fun from the outside – but having been on three such journeys (Wired, The Industry Standard, and FM), I can tell you it’s anything but easy. In fact, as I look back on the most stressful years of my life, they map to the times when my companies were growing the fastest. Back then, I felt deeply alone, with almost no one to talk with. It’s my hope that through the Founders Circle, we might be able to change that just a little bit. Congratulations to Chris, Mike, and Ken on the launch, now let’s get to work! Previous Previous post: “Peak Google”? Maybe, But Is “Native” The Reason?